MH Welcomes National Endowment for the Humanities Chairman to Michigan! The Michigan Humanities Board of Directors and staff are pleased to welcome National Endowment for the Humanities (NEH) Chairman Dr. William D. Adams who will visit Michigan for the first time as NEH Chairman in February 2016. Dr. Adams is a Michigan native, growing up in Oakland County. His comprehensive visit will begin with a reception celebrating the 50th Anniversary of National Endowment for the Humanities at Henry Ford Estate on Monday, February 15, 2016, followed by a private dinner hosted by University of Michigan Dearborn. On Tuesday, February 16, in partnership with the Arab American National Museum and W.K. Kellogg Foundation, Dr. Adams will be part of a roundtable discussion to focus on how humanities projects can engage communities, promote racial equity, and move toward a deeper understanding and engagement with the communities and people who contribute to the rich diversity of Michigan and the United States. The discussion builds from the Michigan Humanities’s Heritage Grants Program, which supports projects that explore local histories of race, ethnicity, and cultural identity in Michigan and was made possible by a grant from the W.K. Kellogg Foundation. Chairman Adams will also enjoy a tour of the Detroit Institute of Arts by the Director, Salvador Salort-Pons. A private luncheon and meeting with faculty and staff will follow at Wayne State University, where Chairman Adams will be joined by Congressman John Conyers. Afterwards, a driving tour of downtown Detroit will focus on the city’s history, changing culture, and urban revitalization. On Wednesday, February 17, Dr. Adams will visit with Michigan State University’s leadership, students and staff to explore the impact of humanities. Later that day, University of Michigan’s Institute for the Humanities and Arts of Citizenship Program will host additional discussions with faculty, staff, and students about the future of the humanities, and host a private dinner. To speak with Dr. Adams about his visit to Michigan, please contact MH Communications Manager, Carol Taggart. ABOUT MICHIGAN HUMANITIES COUNCIL The Michigan Humanities is a private, nonprofit organization created to foster a better understanding of each other and our state through local cultural, historical and literary experiences for all. The Council was founded in 1974 and is funded in part by the National Endowment for the Humanities and individual donors. For more information on future programs, upcoming grant opportunities or how you can support these efforts, please visit www.michiganhumanities.org or call (517) 372-7770. ABOUT DR. WILLIAM D. ADAMS, CHAIRMAN Dr. William D. Adams was nominated by President Barack Obama as the 10th Chairman of the National Endowment for the Humanities (NEH) and confirmed by the Senate in July 2014. 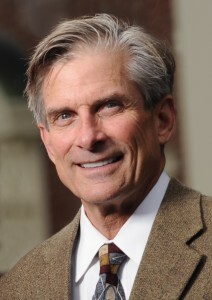 Dr. Adams previously served as President of Colby College in Waterville, Maine from 2000 until June 2014, and as President of Bucknell University from 1995 to 2000. He was Vice President and Secretary of Wesleyan University from 1993 to 1995, and was Program Coordinator of the Great Works in Western Culture program at Stanford University from 1986 to 1988. Earlier in his career, he held various teaching positions at Stanford University, Santa Clara University, and the University of North Carolina. Dr. Adams served in the Vietnam War as a First Lieutenant in the U.S. Army. In 1977, he became a Fulbright Scholar and conducted research at the École des Hautes Études and the École Normale Supérieure in Paris, France. Dr. Adams received a B.A. from Colorado College and a Ph.D. from the University of California, Santa Cruz. ABOUT THE NATIONAL ENDOWMENT FOR THE HUMANITIES Celebrating its 50th anniversary as an independent federal agency in 2015-16, National Endowment for the Humanities brings the best in humanities research, public programs, education, and preservation projects to the American people. To date, NEH has awarded $5 billion in grants to build the nation’s cultural capital — at museums, libraries, colleges and universities, archives, and historical societies—and advance our understanding and appreciation of history, literature, philosophy, and language. Learn more at neh.gov.